Malta Island has a landscape of low hills, terraced fields, and coastal cliffs by the shimmering bays that provide Malta its three natural harbours, which have been used by ships since ancient times. Though it is the biggest island in the Maltese archipelago, Malta is only about 30 kilometres long and 15 kilometres across. The island’s old, historic buildings are designed in distinctive Baroque and Renaissance style by way of Maltese traditions and local materials, and informed by the military background of the nation’s founders. One example of this is the 16th century St. John’s Co-Cathedral in Valletta, its lavishly Baroque interior a sharp contrast to its grim, fort-like exterior. Valletta’s palaces—in particular the Grand Master’s Palace, which was the official residence of the Maltese heads of state from the 16th to the 18th centuries—are more examples of this. Life is especially lively in St. Julian’s, a small harbour town where everyone goes to party when the sun goes down. Its broad pavements are packed with tourists and young Maltese every weekend, as everyone makes their way to discos and neighbourhood bars. 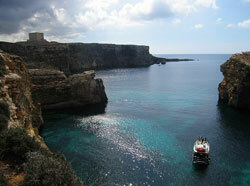 The 98-meter Portomaso Tower, the lone skyscraper on the Maltese skyline, looms over the island. Much has changed under British influence. The formerly insignificant locality once inhabited only by countryside fishermen and farmers is now a tourist destination and a seaside haven with numerous pleasant residences. Another formerly undeveloped town is Sliema, which began to rise in prominence as a summer spot among wealthy Valletta locals in the early 20th century. It is now one of Malta’s top commercial and tourist areas, with a vibrant café and restaurant scene and a lot of new development going on in the town's commercial hub, including modern hotels and luxury residential apartments. 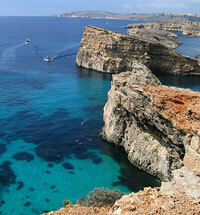 Not far from Sliema is Swieqi. Although it's close to the bustling nightlife in St. Julian’s and Paceville, Swieqi is a quiet residential area populated by the majority of the island’s well-heeled locals. There are a number of beautiful townhouses in the area, although chances of finding a vacant one may be slim, as many are unwilling to sell despite trends of high appreciation in investment property here. The smallest capital in the European Union is a beautiful city on the Mediterranean, majestically situated on a promontory on Mount Sceberras. It is flanked by two large, natural harbours, Grand Harbour and Marsamxett Harbour, both of which have been in use since Roman times. Valletta is the seat of the Maltese government and an important business centre. 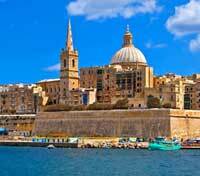 It is said of Valletta that it is a city built by gentlemen, for gentlemen. It was founded by the Knights of St. John in the 16th century as a refuge for wounded pilgrims and soldiers during the Crusades. Valletta has become a prime tourist destination, with many wine bars and cafés dotting the city offering respite for travellers who come to visit the priceless treasures in the National Museum of Malta, the many imposing bastions from the city’s illustrious past, the charmingly worn limestone buildings, and the city’s grand old Baroque churches. Valletta hosts a series of cultural events every year, from English theatre productions to concerts by leading opera singers. Within its fortified walls is a unique commercial centre where centuries-old Baroque buildings and structures temper the modernizing effect of new buildings rising next to them. As the frenetic energy of business activity slows down at sundown, Valletta transforms into a quiet city perfect for strolling around in. Because of its strategic location, Malta was a much fought-over prize between the Axis Powers and Great Britain during World War II. It was heavily bombed for years throughout the war, and Nazi air raids devastated much of Valletta. Many buildings were destroyed in the bombings, and most of the population was evacuated. The Maltese were motivated to rebuild and reconstruct the capital after the war, especially in the run-up to its independence from Britain in 1964. Some of the city’s battle scars can still be seen in some places, notably the ruins of the old Royal Opera House in the heart of the city. Despite what it suffered during the war, much of Valletta’s original architecture remains intact. 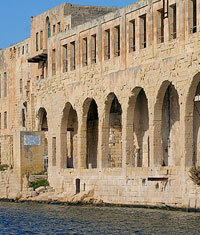 Its well-preserved churches and houses give the city the feel of an open-air museum. 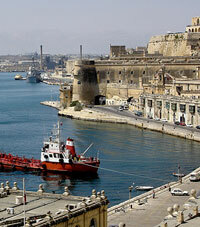 In the years after the war, Valletta’s inhabitants moved out to more modern settlements outside the city. But recently renewed interest in the city’s unique architecture has lured some back to the city to invest in old properties, spurring a renaissance of sorts in Valletta. Valletta’s main thoroughfare is Republic Street, a pedestrian shopping zone going down the middle of the peninsula to Republic Square. The Valletta Waterfront within the Grand Harbour is a beautifully restored 18th century Baroque wharf that is now a commercial complex, with dozens of upmarket restaurants, bars, clubs and shops. On the peninsula curving around Manoel Island reaching towards Valletta is Sliema’s historic Tigné Point, where military outposts were built to guard the island in times of war. Fort Tigné, built in 1792 by the Knights, still stands and is undergoing renovation by the developers of a new residential complex in the area. Tigné North and Tigné South. The former is built around a historic Garden Battery, a coastal defense system built by the British that is now being restored. Tigné North is the more commercial of the two parts of the development; retail stores, restaurants, cafés and office buildings along with waterfront homes are currently being constructed. The seaside community of Gżira, which means “island” in Maltese, was named after Manoel Island in Gżira's Marsamxett Harbour. There is quite a bit of construction going on in Manoel Island, with the rehabilitation of old buildings and a new housing development being constructed. The latter project has come under criticism due to its proximity to the area’s historic buildings. The once-neglected Chapel of Saint Anthony of Padua, which suffered damage during World War II, has been restored to its Baroque splendour. From Gżira’s marina there is a beautiful illuminated view of the capital, Valletta, at night. The town’s central location near larger towns such as Valletta and Sliema and the University of Malta accounts for its popularity and its economy being mainly driven by the services sector. Gżira is a generally safe town, with a low crime rate. It has sizeable and well-established North African and South Asian communities. Old houses still surround the centre, though newer, larger buildings are changing the face of the village.